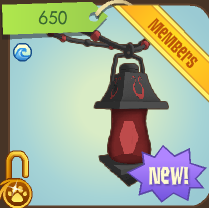 There is a new Lantern Necklace in Bahari Bargains! You can see what looks like a peace sign! I can tell this monkey is a bot. It's colors don't really match, and this stuff is what some bots usually wear. It doesn't appear to be a necklace, and the monkey already has a pattern (it has green spots). Maybe this will be a new feature? We might be able to have "stamps" on your animals soon! On hummingbird pets, you can put "stamps" on them, and each of the 4 stamps makes it do a different action if you click on it. So I am thinking these will be available for animals soon. If you put one on, your dance action is different or something. Any ideas? haha friday the 13th monkey bot will attack lol random! omg o3o I just noticed that when you said it anywho Peace sign shirts? whats next pants? Im just being Sarcastic. And yes it does i just noticed that when i was making A Storage. Oh my gosh. I didn't realize it was Friday, or the 13th! Check out my blog amazinganimaljamblog.blogspot.com!! Really they should make more items for the Fancy castle, Not very many Jammers have an under water den! And i know a guide "WickedGuide"
Bots are animals that fill in games when there aren't enough players in a game. These bots aren't real players, and they don't usually wear matching clothing. They sometimes wear extremely rare items, like Scary Bat Wings and Freedom Wings, or even non-existing items! You are so right about the log in being switched.This morning when I loged on Ityped my use name wrong and i had to do it over so..... I ment to hit the use thing to type but i hit make a new animal so i had to completly do it over! :D but it was kind of funny! oh is that a replay for me baea?? Hi every1 as some of u maybe know i have a younger sister that comes on aj well she doesnt exactly have alot of rares if u know wat i mean her user is EllenJune1 i think it would be nice if a couple people possibly sent her either a small gift or just a jam a gram that says "HAPPY BIRTHDAY!" she would freak if lovelost sent her a happy birthday jam a gram i would appreatiate it if u could lovelost! ps ellen if u read this HAPPY BIRTHDAY! i wonder we get more buddy slots ^.^ cuz we got more cloths and den iteams. yeah!!! i hope ,lovelost if that happens can we be buddies :D prob won happen we can still cross our fingers-epuc!!!!!!!!!!!!!!! Dont take this the wrong way but members did, we didn't. Hey LoveLost, what's a bot? A bot is an animal that fills in game slots. They don't usually wear matching clothing. Sometimes their clothing don't even exist! yush friday the 13th!!! and most importantly question did the monkey win at falling phantoms!!!?? A bot is an animal that fills in game slots. They don't usually wear matching clothing. Sometimes their clothing don't even exist, like strange-colored worn blankets. and non-member wings. Lovelost, how did you get your first username, Mayksufi? Can you please reply and tell me? She first made her account with the username Mayksufi. She then emailed AJHQ and asked them to change her username from Mayksufi to WitchHatBunny. She then wanted the username LoveLost. So she made a new account, LoveLost, because you can only change your username once (happened to me). She them gave all her items from her old account to her new one because she didn't want to be WitchHatBunny again. That was also how I went from BunnyLuvArcticPaw to HalilintarTaufan. Omg, your picture! I have that app! LOl! BTW whens is the next contest and who won this process is slow no offence hope nones taken sorry i talk alot i like surgar! That looks like a mercedes sign to me. Maybe we'll get honda, toyota, nisson, and all the others. Wow, can you only get the peace sign useing only a monkey? Where can you play Falling Phantoms?? Anyone? That makes so much sence because monkey are tenichally a rare animal, and maybe because that animal is so rare they can have special items on their chest!